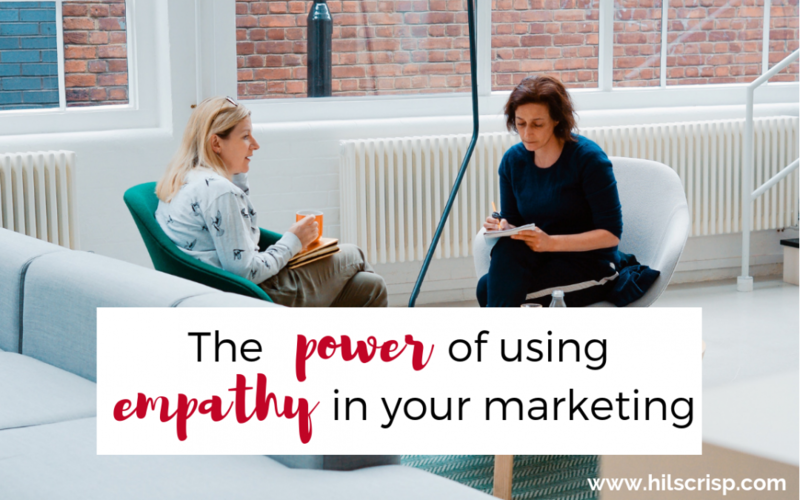 Marketing needs to be effective and if you want it to feel-good too and you’re struggling with how to do both, this blog will help you with one way you can do that by using empathy. In heart-centred business, we all want to offer value to our ideal clients, plus in ‘authentic marketing’ (my thing) it feels good to provide value to your audience, whether they will buy from you or not. Giving back in some way while positioning yourself as an expert is a win-win right. What this often leads to (and I sadly see it all the time) is people giving away so much value in their marketing that people don’t buy from them, because they don’t need to. Indeed I wrote this blog about it recently. What if you can give value without giving it all away? Marketing needs to be effective as well as (I think) authentic and no doubt you’re struggling sometimes with how to do both at the same time. You may also be struggling with how to address the challenges and pain points of your ideal clients without feeling icky about it and in a way that generates interest in your services. One way you can provide value, while positioning yourself as an expert, plus build the know, like and trust factor (which is what leads to people buying) is to use empathy in your marketing. Empathy is the ability to understand and/or share the feelings of others. It means to have an affinity with, sensitivity towards or awareness of where they are and how it feels. Empathy creates connection on an emotional level and as most buying decisions are emotional and ‘people buy from people’, creating that connection can really improve your marketing. Using empathy will bring depth to that connection. To clarify, empathy is not sympathy. Sympathy is feeling sorry for another, feeling pity for their circumstances or feeling sorrow for their misfortune. Sympathy is feeling bad for another. Empathy means meeting another where they are, feeling them and resonating with them and their situation. When we receive empathy, we feel understood, heard and felt and that feels good. We can often feel relieved that someone else gets us and our situation. Empathy requires understanding and understanding requires deeper listening. Creating emotional resonance or an emotional connection can be really powerful in marketing. Using empathy can be particularly so. When you genuinely empathise with your ideal clients, they will feel heard, felt and understood by you and that helps them to feel valued by you. Whether you have been in exactly their situation or something similar (or even not at all) you can meet them where they are in an empathic way. Empathy is about walking a mile in their shoes. It’s about going over to them, being with them and seeing things from their viewpoint (metaphorically speaking). Then sharing what you see with them in your marketing. I know you feel frustrated about this situation. I can see why you’re thinking that. I understand how hard it is for you right now. Empathy has the receiver feeling “Yes you get it!” and usually brings some relief. You’re feeling stuck in a rut, you’re scared and you can’t see the way out. You’re overwhelmed by all the options and advice and don’t know what to do next. You feel embarrassed by having hot flushes and being so forgetful at work. Are feeling stuck in a rut, scared and can’t see the way out? Do you get overwhelmed by all the options and advice and don’t know what to do next? Do you feel embarrassed by having hot flushes and being so forgetful at work? Which feels better to you? Being asked or being empathised with? Please do comment and let me know. The question, I think, feels harsher, it doesn’t bring relief and a sense of feeling heard. – Really feel empathic with their struggles. If you have been there too, this is easier as you can share your story also. You can use empathy in any marketing copy or content, so on your website, on social media, in videos, in your 1-minute pitch and when speaking. Now it may sound not at all authentic to talk about ‘using’ empathy as a strategy so please don’t misunderstand me. I’m not saying to ‘pretend empathise’ purely in your marketing content and copy when you don’t feel it at all. Allow yourself to feel where they are, imagine you’re in their shoes and genuinely care about them. If you have been there too, say so, in detail, not just “I get it, I’ve been there too” which can sometimes sound rather fake. My ideal clients are people who genuinely care about their clients because their businesses are heart-centred and they want to serve and help. So, I’m talking to you ladies who want to market your business authentically, in a way that feels good and you don’t want to manipulate. You, I know will do this correctly and not use it for ill. So, I invite you to feel into, ask or listen to your ideal clients to really understand their problems and challenges AND to empathise with them in your marketing, by reflecting back what you hear or know. What can you tweak in your website copy? Can you create a social media post, video or blog empathising with one of their main issues? How can you gather this data now or going forward? 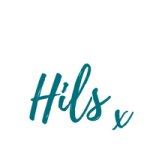 If you found this blog useful and you’d like more help to grow your business, do grab my FREE GUIDE below to help you get more clients!